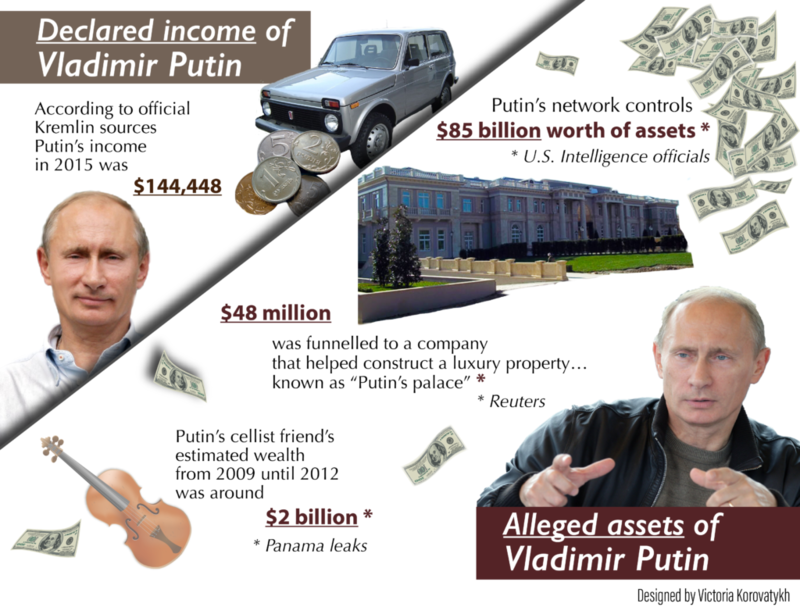 How much is President Vladimir Putin really worth? According to official Kremlin sources, Putin’s declared income in 2015 was $144, 448, and he owns three Soviet-era cars (one of which is a Niva, the shoddy Soviet attempt at an all-wheel drive off-roader). But don’t be fooled. Just yesterday, U.S. intelligence officials leaked to NBC News a very different figure: $85 billion, which reflects far more accurately the kleptocracy which has gripped Russia under Putin.